The Eternals are coming to the Marvel Cinematic Universe. Despite not having yet officially announced the project, Marvel Studios has hired screenwriters for its upcoming movie based on The Eternals, according to The Hollywood Reporter. To adapt the Jack Kirby-created comic series for the screen, the studio has hired the screenwriting team of Matthew and Ryan Firpo. The cousins are known for their unproduced spec script Ruin, which received attention as part of 2017's Black List. Presumably, the Eternals movie is intended to comprise a chapter in the MCU's mysterious Phase Four. Other movies in development from Marvel Studios that we currently know about include Guardians of the Galaxy Vol. 3, a sequel to Spider-Man: Homecoming, and a Black Widow solo movie. Beyond that, the larger shape of things is a mystery — though it's a mystery that will presumably still include more Avengers movies. The Eternals is a comic book series which was first launched in 1976, centering on a race of cosmic characters within the Marvel pantheon. That race, an evolutionary cousin of humanity called the Eternals, are tasked with defending the Earth from otherworldly threats — especially their destructive counterparts, the Deviants. Aside from Kirby, who both wrote and illustrated the series' trippy original run, writers for the team have included Neil Gaiman, Peter Gillis, and Charles and Daniel Knauf, with four volumes being produced between 1976 and 2009. The lineup of the non-traditional, functionally immortal comic book team includes the characters Ikaris, Thena, Sersi, and Makkari, all of whom can manipulate cosmic energy to accomplish a variety of superhuman feats. Not that we need to explain that to you — we're sure you've heard of them. 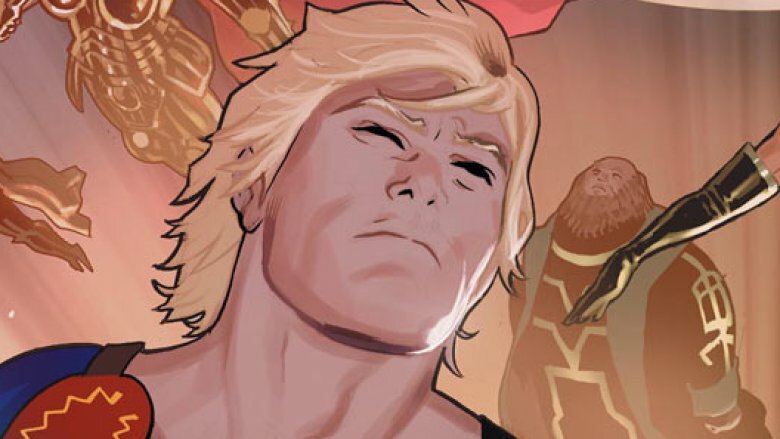 In the comics, the Eternals are known for living among humanity undetected for thousands of years, evolving in parallel with the rest of the planet. Depending on the writer and the storyline, the characters have sometimes had to awaken from an amnesiac state in order to realize their godly powers, living into young adulthood thinking that they're human. There is no official timeline yet available for the release of an Eternals movie. Considering what Marvel Studios was able to pull off with Guardians of the Galaxy — another largely-obscure comic book series, prior to the 2014 movie — we're awfully excited to see what might come of it.